Describing training as very much essential for the overseas job-seekers, Prime Minister Sheikh Hasina on Thursday advised the overseas job-seekers to take proper training before going abroad. “It’s very unfortunate that the people who want to go abroad with job are less interested to get training. They fall in danger after going abroad as they obtain certificates by spending a little amount of money,” she said while laying the foundation stone of Bangladesh Consulate Building here this afternoon. The prime minister said the government is providing training to the people intending to go abroad with jobs. “This training is very much important for them, otherwise they become victims of torture and repression while staying abroad,” she said. 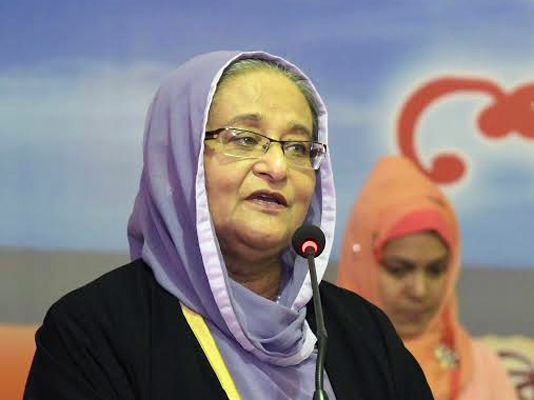 Sheikh Hasina said many people fell prey to the danger for not getting appropriate training. “It’s very regretful and attention needs to be given so that none does this work,” she said. The prime minister said many overseas job-seekers fall in danger after falling prey to the middleman (dalal) by selling their land and property. “They have to suffer in prison day after day due to their wrong decisions.